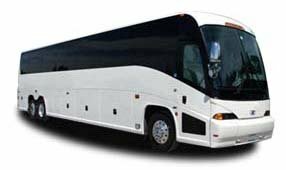 If you have a large group in need of fast, efficient transportation around Atlanta, rely on Atlanta Charter Bus Company to meet your needs. Although we have access to a variety of transportation solutions, larger groups are especially fond of the 56-passenger charter bus due to its size, plethora of amenities, and industry-leading safety features. If you’re looking for a fast, efficient mode of transportation for a large group, book a charter bus today. We have experience servicing customers in need of transportation for corporate events, school events, sports competitions, weddings and more. Because of this, Atlanta Charter Bus Company has developed the network and resources required to meet your transportation needs. We have a team of dedicated reservation specialists who are waiting to take your call, 24/7. If you’re ready to revolutionize the way you group travel, call us today at 404-474-7769.